Brian Steller, chair of Connell Foley's Insurance Defense Group and the Immediate Past President of the Northern New Jersey Chapter of the American Board of Trial Advocates (ABOTA), moved before the Chief and Associate Justices of the United States Supreme Court on October 9, 2018 to have members of Northern NJ’s Chapter of ABOTA admitted to the Bar of the Supreme Court of the United States. Mr. Steller’s motion was granted unanimously by the Court members. The ABOTAns remained in the well of the Courtroom for the morning argument. The admittees, pictured below, are (L to R) Rowena Duran, Raymond Loughrey, Richard Grodeck, Jeff Zenna and Carol Forte. 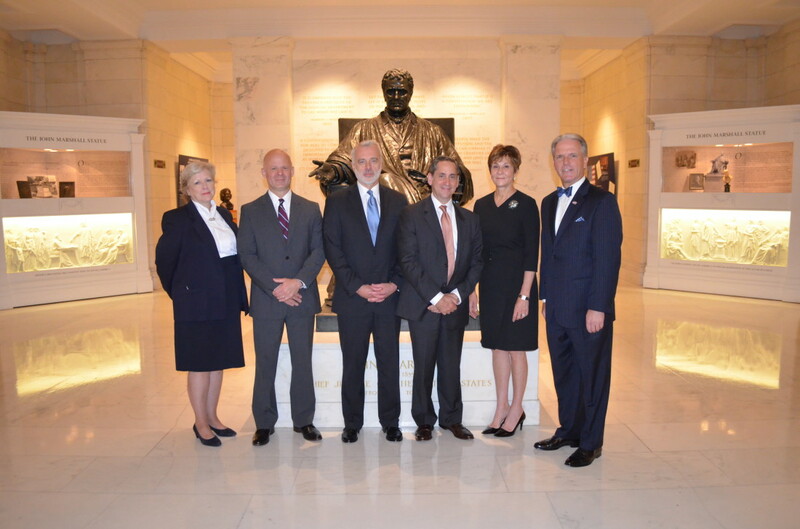 Mr. Steller, pictured at the far right, serves on the Board of Directors for ABOTA's National Organization and is a Life Fellow of its Foundation. He is also the Founder of the ABOTA National Trial College.